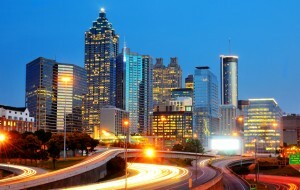 We are headquartered in the capital of the south, better known as Atlanta, Georgia. For over 10 years we have helped business start ups, Entrepreneurs, and established businesses build their online real estate. Our solutions have helped 100′s of companies increase their bottom line. The internet has the brought the division between customer and business to a much closer personal level!We’re a small team of business developers and marketing experts that mainly focus online. We are a pure internet company because many team members are based world wide. The internet has allowed our team members to be connected with each other even though we maybe thousands of miles apart . We pride ourselves on amazing work and fabulous customer service. Oh, and we love what we do! The team of Relamark has a combine experience of over 20 years in the business. Each team member has a unique role of software programming, graphic design, server technician, and project management. We’ve helped so many businesses from around the globe start their internet business. We would love to help yours. Contact us any time to see how we can be of service.